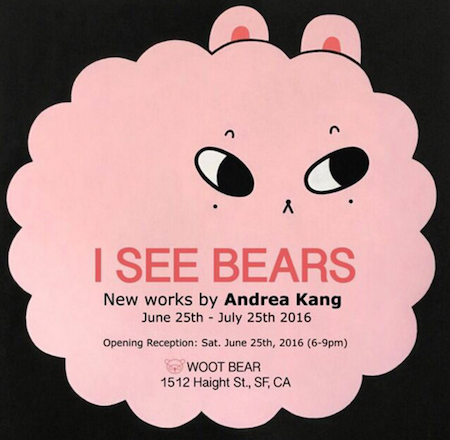 I am so excited for Andrea Kang's show opening tomorrow at Woot Bear in San Francisco! We are delighted to host our next artist, Andrea Kang, for her first solo show at Woot Bear! Her works will bring a breath of sunny, sweet fresh air to our space. Andrea Kang will be in attendance during the Opening Reception on June 25th, from 6-9pm.